The bad-tempered ladybird picks fights with every animal he meets, but soon learns the importance of friends and turns into a far nicer, happier bug. A series of kindly acts comes full circle in this heartwarming story. "Because Amelia smiled, coming down the street... Mrs. Higgins smiled, too. She thought of her grandson, Lionel, in Mexico and baked some cookies to send to him." Lionel's reaction to his grandmother's gift spurs one of his students to become a kickboxing instructor; her video makes its way to England, inspiring virtuous acts in Israel, Paris, Italy, and back around to Amelia in New York City. Even young children grasp the idea that good deeds and positivity result in more of the same. There are two series that deal with a range of feelings and both are fairly similar in content and the particular feelings they deal with. They are the Feelings - series and this one, Dealing with Feeling... They are almost interchangeable. Each double page spread deals with a question, such as What is Anger? How Can I Deal with Shyness? Will I Always Feel Worried? What Does Being Caring Mean? What If I Have Nothing to Feel Proud About? etc. 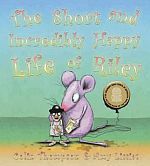 these books help young readers discover and understand their feelings and the significance of each in their lives. Are you scared of the dark? Did you feel scared on your first day at school? Have you ever been lost? Ho did you feel? read about Ben, Maya and Jack to see what they did when they felt scared. Here are lots of things that make you feel good. What others can you think of. 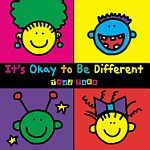 Great introduction for young children to positive thinking. 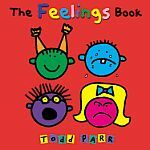 This book takes an inside look at dealing with your feelings. Whether you are happy, sad, angry, mad, stressed, excited, afraid or delighted, you will get tips, how-tos, and straightforward advice you can really use. 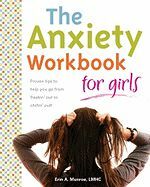 A great little book full of practical information, things to do, and addressing topics such as I Feel Anxious, Listening in, Sweaty Palms and Knocking Knees, Feeling out of Control and much, much more. 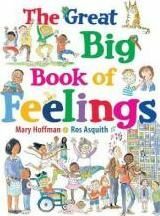 This is a fun, imaginative and creative resource designed to help children aged 7�13 get thinking and talking about their feelings and the issues that affect their lives. It is packed full with games and activities that help children explore their emotions and express themselves positively. Activities surrounding issues such as peer relationships and friendships, bullying, offending, participation and citizenship are designed to build self-esteem, raise aspirations and increase motivation. They will also enhance emotional well-being and develop protective behaviours, encouraging children to speak out rather than act out, and helping to keep them safe and happy. 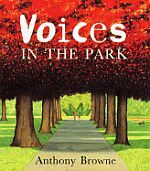 This is an ideal resource for all those working with children and looking for new and exciting ideas for games and activities, including teachers, youth workers, social workers and counsellors. 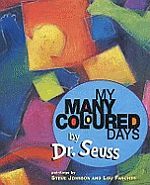 This book is primarily designed for use with individuals and groups of children aged 7-11. 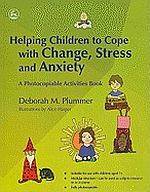 An invaluable resource for teachers, therapists, social workers, parents and anyone lookinf for ways of helping children to cope with change, stress and anxiety. Brief text and colour photographs of carvings made from vegetables introduce the world of emotions by presenting leading questions such as "Are you feeling angry?" Paperback ed. 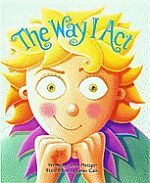 One of four in the series that deals with being frightened, jealous, sad and angry, these are suitable to early primary years. This one tells of situations when this character feels frightened, and what can be done to ease it. Notes for adults. 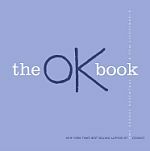 In this companion guide to her children's book, "I Just Don't Like the Sound of NO!," author Julia Cook has created activities for K-6 classrooms that teach kids the important social skills of how to accept "No" for an answer and how to disagree appropriately. Included in the Activity Guide for Teachers are games, worksheets, reflection questions, coloring pages, and suggestions on how to incorporate skill learning into classroom lessons as well as homework assignments. Teachers can learn how to run their own "Say YES to NO" clubs for students, and the guide offers "praise coupons" to use when recognizing children who use either of the skills correctly. Young children experience many confusing emotions in their early years. 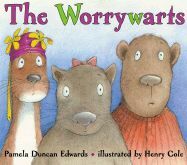 This book examines worries - what it feels like when you're worried, what sorts of things can cause worries, and what to do when you get worried. Great for early years and junior primary. A collection of fun activities and exercises designed to teach children behavioral skills like empathy, compliance, and more. This program will help kids develop self-control and understand the importance of being cooperative. When brave Sheila Rae, who usually looks out for her sister, Louise, becomes lost and scared one day, Louise comes to the rescue. Do you ever feel like shy spaghetti or excited eggs? What about happy hot dogs or confused cupcakes? Understanding what your own emotions and feelings are telling you is very useful, even for kids! How do you know what you're feeling and how to deal with it? Take a peek inside, and you'll find out. A Note to Parents explains the importance of feelings education and shows parents ways to help kids understand what they feel, why they experience an emotion, and what they can do when feelings get too big or hard. Smiles have a funny habit of disappearing. Sunny's is no exception. She tells that Mum says that most lost things in our house can be found: under the sofa, in my pockets, in Mr Honeycomb's basket. I don't know about that, but I do know I NEED my smile back where it belongs ... on MY face. 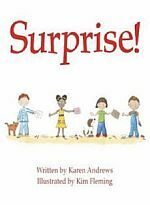 Hamish, Alice, Meg and Thomas are four very different children with one thing in common - they love surprises! And you'll love yours at the end of the story. Silly, cranky, excited, or sad - everyone has moods that can change each day. 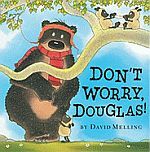 Curtis' zany and touching verse and Cornell's whimsical illustrations help kids explore, identify, and even have fun with their ever-changing moods.